“Teaching” is only part of “guidance”. Your best teacher is your “intuitive knowing”. The process, which varies, is interactive and adjustive with everyone. Pray for the support from the source within. “Enter” the high state of consciousness. “First time” eleven frequency, purify, and balance. “Second time” Transcending level of consciousness and multidimensional. “Adjusting” allow the frequency of the body to transform and elevate. “Third time” energy processing test and guidance exercise. “Forth time” facilitate frequency elevation exercise with others. Scan : In observe breathing, assimilate into the center of energy, chakra willingly and completely open and balanced. Reading : “Peaceful” with “the heart”, stay relaxed, receive without thinking or feeling. “Consciously” focus on the “realization”, gradually and honestly. True to yourself, open your heart. From trust then assimilate into Oneness, stay childish, be curiously and keep on trying. This step is your homework, the next is His. 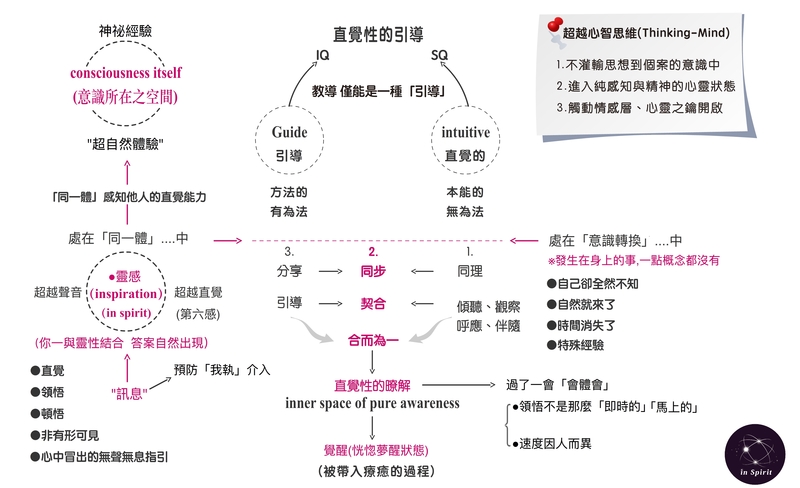 Visualize (form and method) : Gradually, you will experience. When you experience, you will enjoy. When you focus on practice, the experience will improve. Reflect : From visualize to reflect and enter “in Spirit“. “Awareness” stems from emotional fluctuation, and return to the center of balance. Communicate with positive attitude : Observe “body, speech, thoughts"
In the state of “Clear and concise” mind to observe the presentation of all two dimensional beings. Share caring language with anyone you encounter. Languages : limited language in this world. Words : Guiding thoughts, actualize awareness. Languages and words are to “create consciousness”, therefore there are differences in consciousness. There is a deeper awareness in intuitive focus, not the explanation from words, nor theology nor ideology, but the ultimate true realization. Concept is none sense, unless you can experience it and make it part of your life.